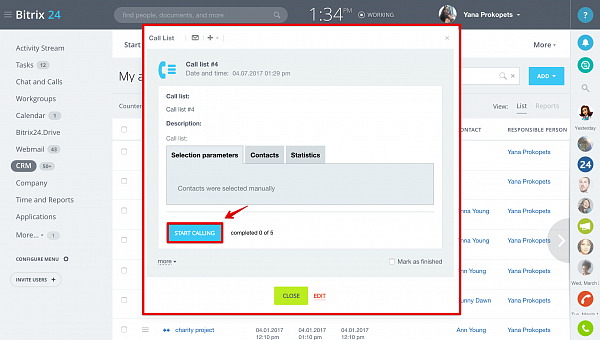 Meet new automatic dialer option for your Bitrix24, that automatically dials telephone numbers of the selected clients list. Once the call is answered, the autodialer connects the call to a live person. 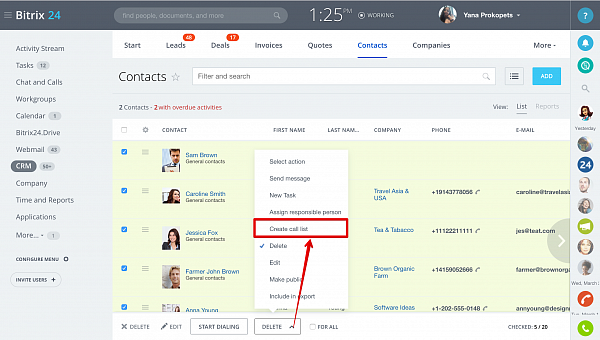 Open CRM contacts list & select clients you need to call. Tip: to prepare clients list you can either select “all contacts” or use filters to make your custom parameter list (e.g. clients created this month). 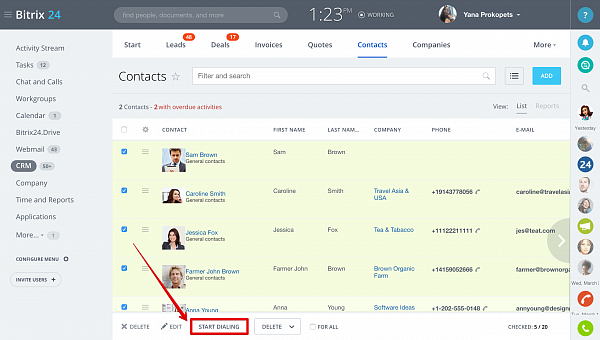 Open CRM contacts list & select clients you need to call. 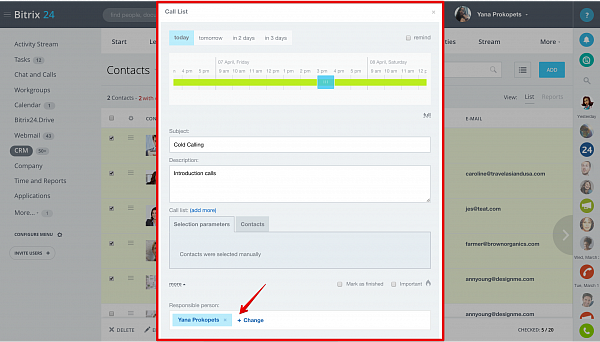 Here you can set call date & time, add description and assign responsible user. Please note that the text you add as a subject will be shown to the responsible user as activity name. You can also use one of the available web forms. Click Call tab to start calling. Each contact has own call status field. From the beginning the contact call status is equal to scheduled. 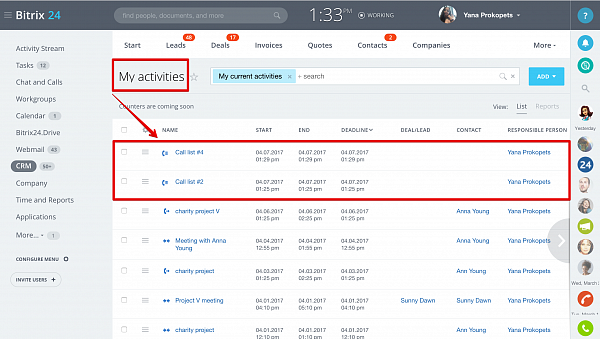 After the call is finished you can set another status – success, invalid number, etc. Click Next to go to another contact in your call list. New Deal or Invoice can be created from the call list when necessary. 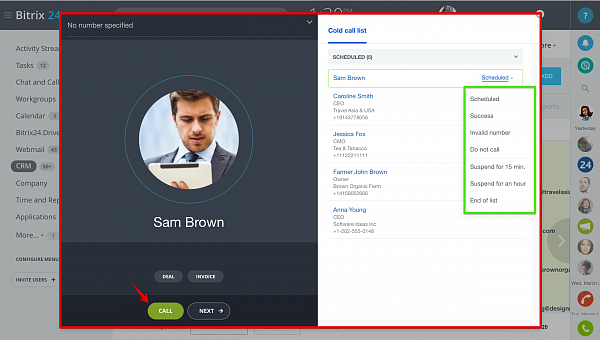 Automatic dialer is available for Bitrix24 Plus, Standard or Professional plan subscribers only.